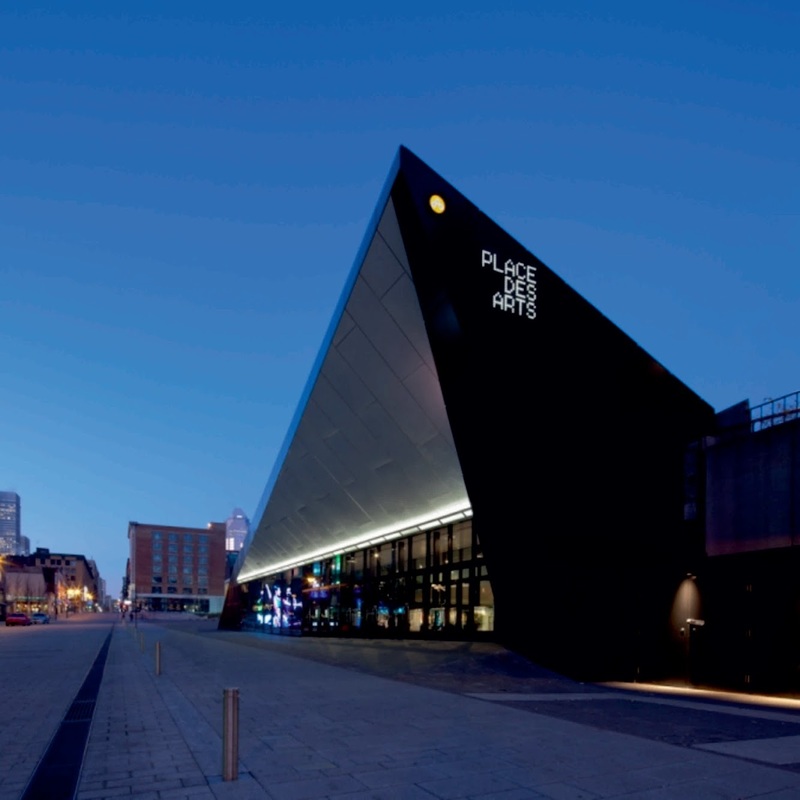 With its five concert halls, Place des Arts is the premier performing arts venue in Quebec. 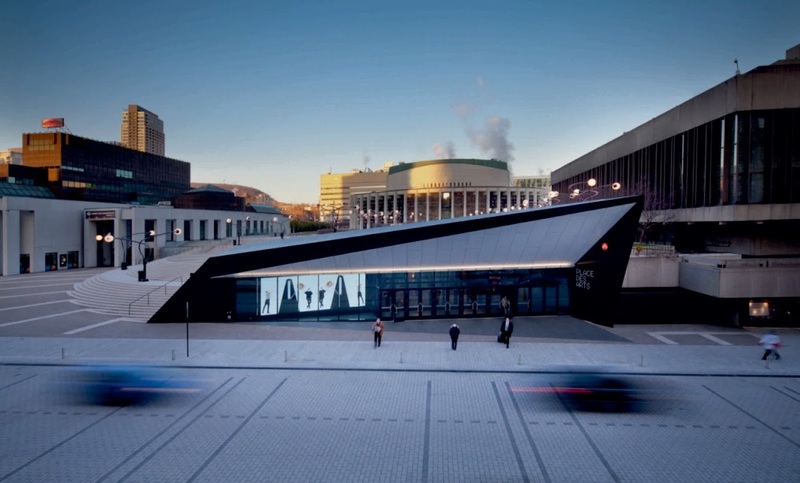 to ensure the public will continue to see it as a showcase of modern, avant-garde entertainment, and to retain the position it currently occupies internationally Place des Arts has created a new hospitality infrastructure by transforming the Hall des Pas perdus into the cultural Grand Foyer of Place des Arts, recently renamed the Espace Culturel Georges-Émile-Lapalme. 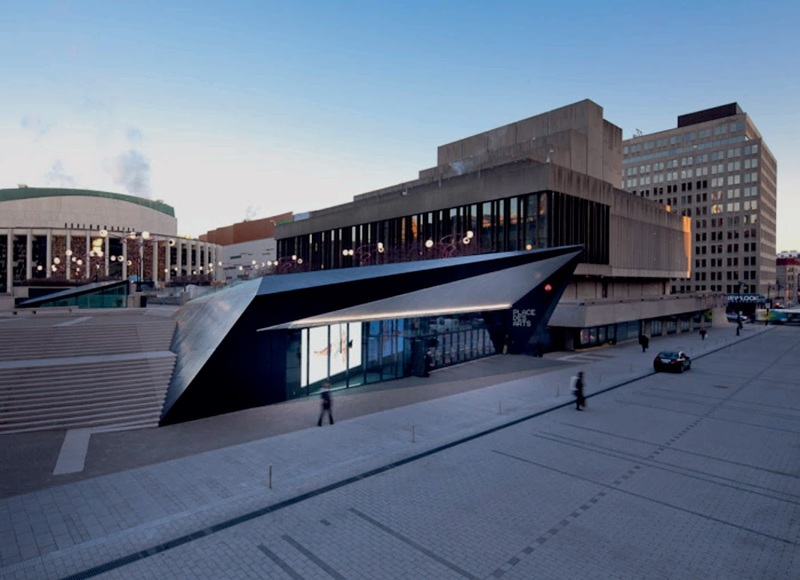 The project is designed primarily to restore the identity of Place des Arts as a world-class cultural complex with a strong urban presence. And secondly, it entails a complete renovation and rededication of the Hall as a cultural Grand Foyer, a coherent, lively and memorable space. 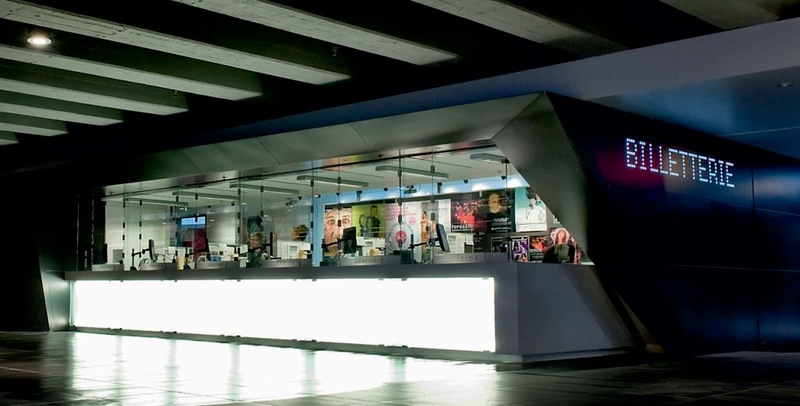 In addition to a revamping of the entrances to the complex and the various halls, the project calls for relocating the ticket and information booths, and the creation of a new space designed for public events, as well as a bistro and an exhibition space. 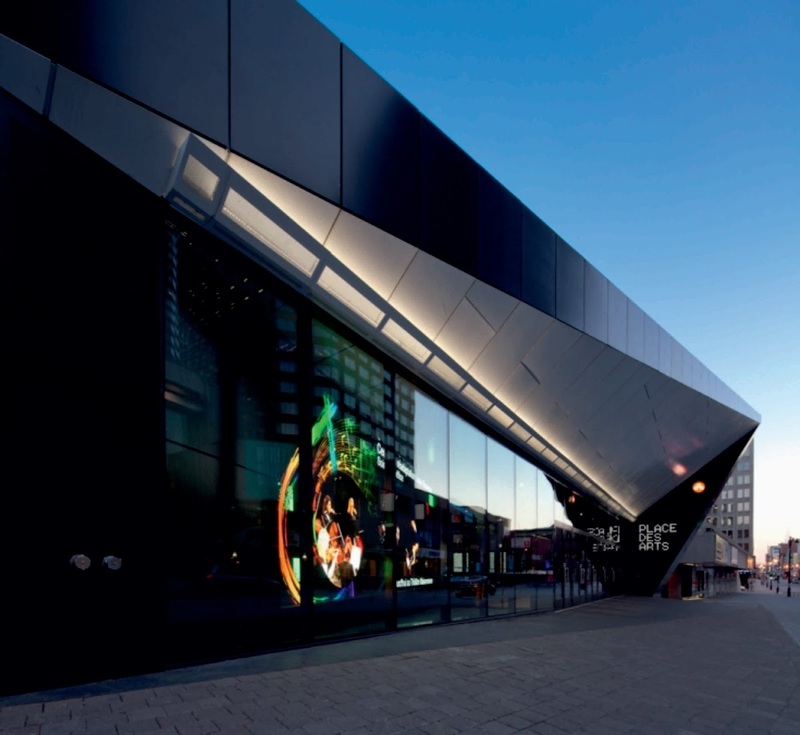 The structure of this project is based on a comprehensive plan that brings the various programmatic elements closer together, thereby combining the identification function with multimedia and signage into a single whole. 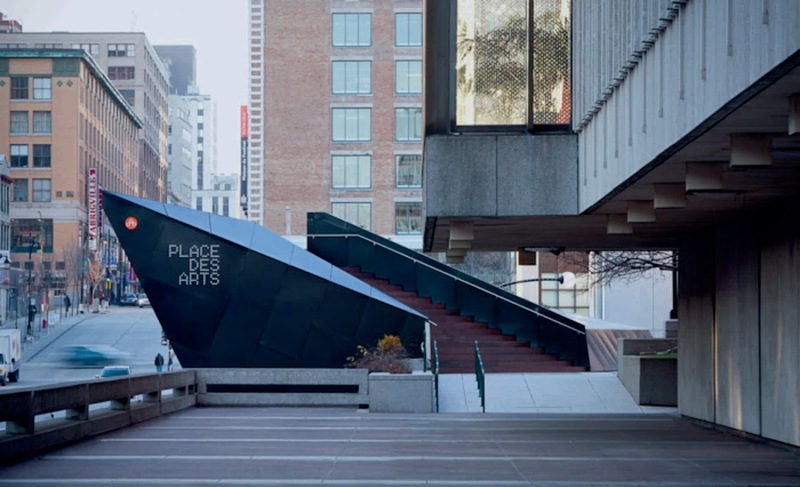 Inspired by the graphical elements and architecture of Place des Arts, the concept develops the Foyer into a coherent, accessible space in keeping with the complex’s identity. 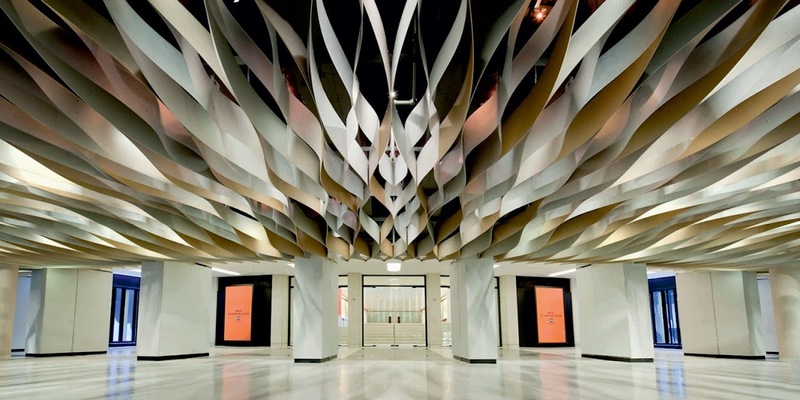 The general concept is punctuated by divisions marking the transition between interior and exterior, between the Foyer and areas dedicated to entertainment and shows. 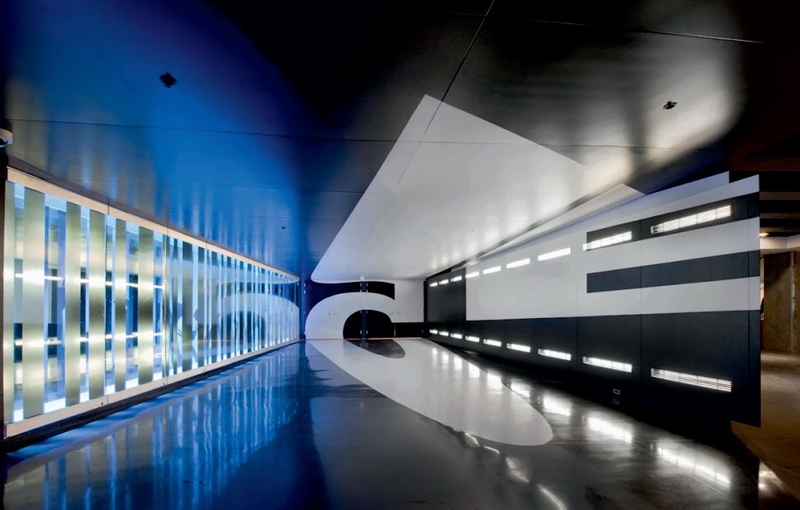 At these junctures, the plan embraces floors, walls and even ceilings, relying on a lighting and audio-visual system that creates transitions that stimulate all the senses. To illuminate the interior space, two skylights will be installed. 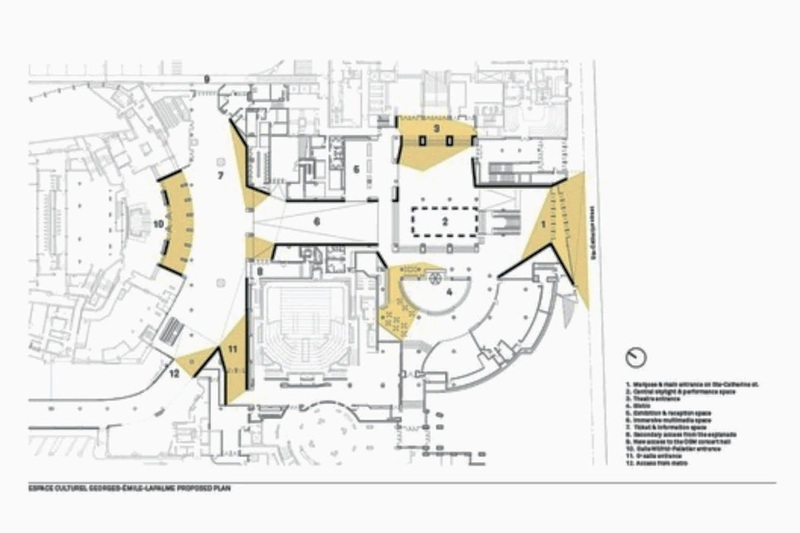 the first will illuminate the threshold under the marquee, while the second, which rises above the existing lobby, will highlight the centre of the Foyer and the area designated for events and shows. 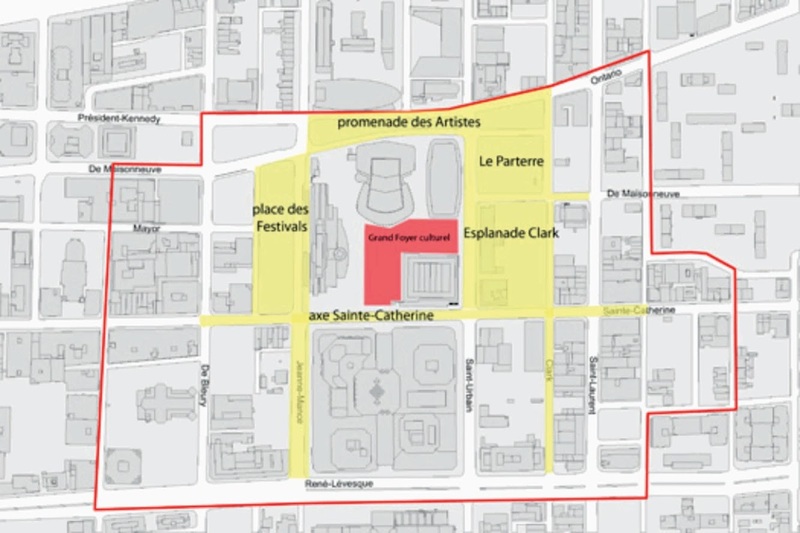 The new Foyer opens onto Sainte-Catherine Street and is identified by a new symbolic megaphone-shaped marquee. 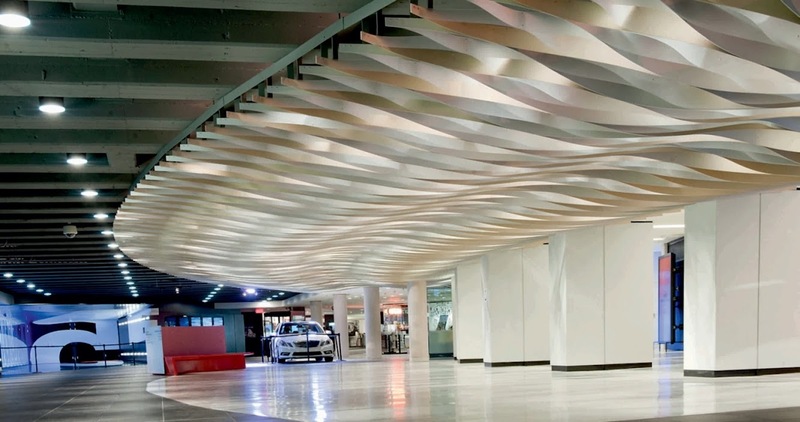 the integration of multimedia and architecture reinforces the status of this space as the primary entry point to Place des Arts. 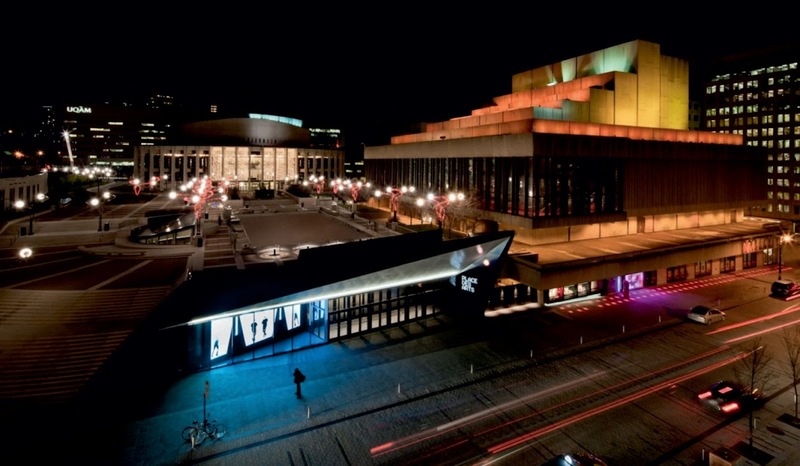 The marquee has an accessible roof, extending the esplanade, which can be used as a vantage point, in keeping with the historical axis of Place des Arts, which affords fine views of the complex itself and the various festival stages.